It's the middle of winter here in the nation's capital. Not quite the season for water sports - unless you're into model sail boat racing. 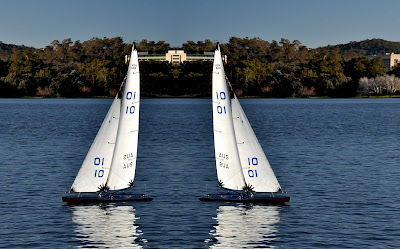 So this week we shall be looking at model sail boat action on Canberra's Lake Burley Griffin. Hope you enjoy these shots in celebration of our crisp blue skies and shining waters.